** Wave 89.1's 2010 Club Dj of The Year ** Styles Entertainment DJ ===== Mondays - Guilly's Island Tuesdays - Bond Urban Pub / Prive Luxury Club Wednesdays - Dragon Bistro / Opus Thursdays - Bliss Ultra Lounge Fridays - Republiq Club / Prive Luxury Club Saturdays - Eden Nightclub / Republiq Club ===== www.twitter.com/djaceramos www.facebook.com/deejayaceramos DJ ACE || THE PROFILE Ace Ramos has emerged as one of the most renowned DJs in the Philippines. He sets himself apart from the rest by creating his own style. He does mash ups and mixes hip hop, rnb, elektro rock, chart-topping hits, and upcoming tracks. He always keeps each set fresh and he will definitely keep the party crowd on the dance floor until the wee hours of the morning. 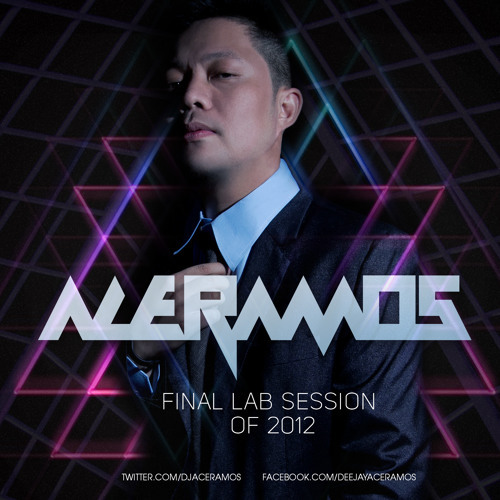 He was then voted 2010 Club DJ of the Year by Wave 89.1 in the Urban Music Awards. Currently, he has residencies at Guilly's Island (Mondays), Bond Urban Pub / Prive Luxury Club (Tuesdays), Dragon Bistro / Opus (Wednesdays), Bliss Ultra Lounge (Thursdays), Republiq Club / Prive Luxury Club (Fridays), and Eden Night Club / Vudu, Cebu City (Saturdays). DJ Ace is also a regular fixture at events all over the country, rocking parties for celebrated festivals like Sinulog in Cebu, Masskara in Bacolod, Dinagyang in Iloilo, Sandugo in Bohol, Panagbenga in Baguio and Kadayawan in Davao. During the summer, he spins at Boracay, Cebu, and Bohol, among other places. He also frequently plays for special engagements such as corporate events for Nike Philippines (like NBA stars Kobe Bryant and Vince Carter in Manila), SMART, MTV, PLDT, Petron, Shell, Philip Morris, Jose Cuervo, TDK, Hennessy, Ray Ban, UNO Magazine, MAXIM, and Bacardi among many others. He is also one of the most in demand djs for private parties such as product and store launches, school events, weddings, debuts, and even in local celebrities' birthday parties-- Manny Pacquaio, Richard Guttierez, Jennica Garcia, Polo Ravales, Cristine Reyes, to name a few. At the young age of 12, DJ Ace started experimenting with the turntables. He saw DJ MOD at the 1990 DMC finals which inspired him to learn more and practice the art of becoming one himself. He cites DJ MOD, Mick Martinez, Kimozave, Sir Scratch, Kristyles, Elmer Dado, Nikki Jurado, Qbert, Melo-D, Icy Ice, Jazzy Jeff, Armin Van Buuren, Z-trip and Shortkut as his major influences. His first gig was at Winner's Bar and Resto (Makati) in 1998. From then on, he went to establish his career as a club DJ, entertaining the night life scene by spinning behind the decks of Embassy Super Club, Cuisine, Wherelese, Euphoria, Fashion Cafe, 78 Orange, Spoon, Coast 101,The Basement, Decades, Sibil, Dreams, Wasabi, Absinth, V-Bar, Temple and countless others. He is now a part of Styles Entertainment, a lifestyle and marketing entertainment agency. He has also played in different clubs in Asia – Prive, Mella and Volar (Hong Kong), Sound, Bed (Thailand), Butter Factory (Singapore), Hard Rock, Macau (Macau), Gold Club and Chi The Nightclub (Dubai, UAE). But DJ Ace does not limit himself in the clubs. One of the highlights of his career was when he became a resident DJ of a television, hit variety show, Wowowee, last June 2008 to November 2009. Since then, he has been spinning regularly at various shows on ABS-CBN such as Happy Yipee Yehey, Pilipinas Win na Win, Banana Split, Goin' Bulilit, and Shoutout. He has appeared on other television gigs as well, performing at the Pinoy Big Brother Celebrity Edition Launch and Studio 23's Bay Break. He has shared the stage with some of the world's best DJs such as Jermaine Dupri, Lil Jon, DJ Vice, Steve Aoki, Qbert, Stonerokk, Laidback Luke, Avicii, Benny Benassi, Fedde Le Grand, R3hab, Calvin Harris, The Riddler, Afrojack, Power106's Big Boy and Eman, David Morales, Apollo, Enferno, Remark, Icy Ice, Shortkut, Virman (Far East Movement), Lucky Lou (LMFAO), Echo, DJ Yup (Korea), and Roctakon among others. He has also played for after parties of various artists including Lil Jon, Justin Timberlake, Far East Movement, Cali Swag District, Jermaine Dupri, Lupe Fiasco, New Boyz, LMFAO, Timbaland, Ne-Yo, Alicia Keys, Black Eyed Peas, POD, Ja Rule, and Backstreet Boys. He is currently signed by Nike and Lee Jeans Philippines as a product endorser. A brand ambassador of the following brands Jose Cuervo, TDK, Hennessy, Smart, Urban Autoworks, Beats by Dre, Eleksis Philippines, Team Manila, FreshManila, Red Bull and P&P Tattoo. For many years, DJ Ace has proven himself to be one of the most talented DJs in the country and he aims to achieve more and get even better in his craft.